In the shadow of Google there are a lot of small search engines who each try to beat Google at the social search game. Or at least they try to take a piece of the search pie. Can they be successful however? 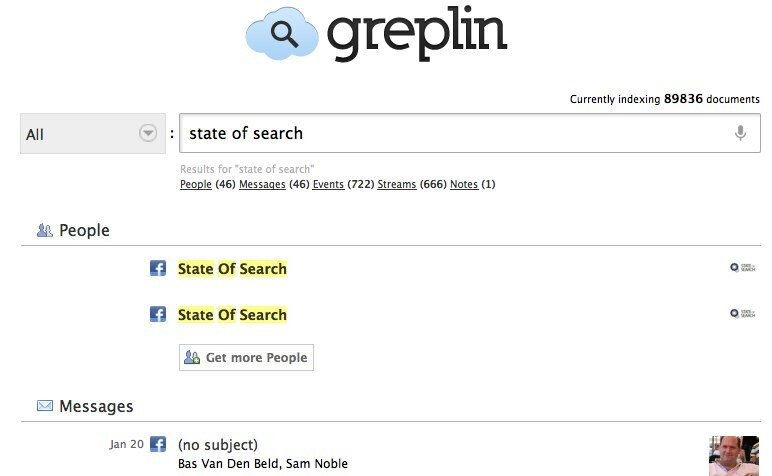 “Personal search engine” Greplin is one of the social search engines which tries to grab a part of social search. It looks through your social accounts to find that one message or topic you lost or couldn’t remember who said it. I decided to take a good look at this search engine. To see if it is useful and if it is capable of being a Google competitor. If you go to Greplin.com it starts of being a bit confusing. You will see a page which looks like a search page but isn’t. The search bar in the middle doesn’t do anything, its an image. To start using Greplin you have to sign up first. This actually makes sense since you will be searching through your own social properties and timeline. As said, Greplin gives you the opportunity to search through your own social timeline. For that to work you need to connect your social accounts to Greplin. You can add quite a few and it doesn’t stop at Twitter or Facebook like applications. 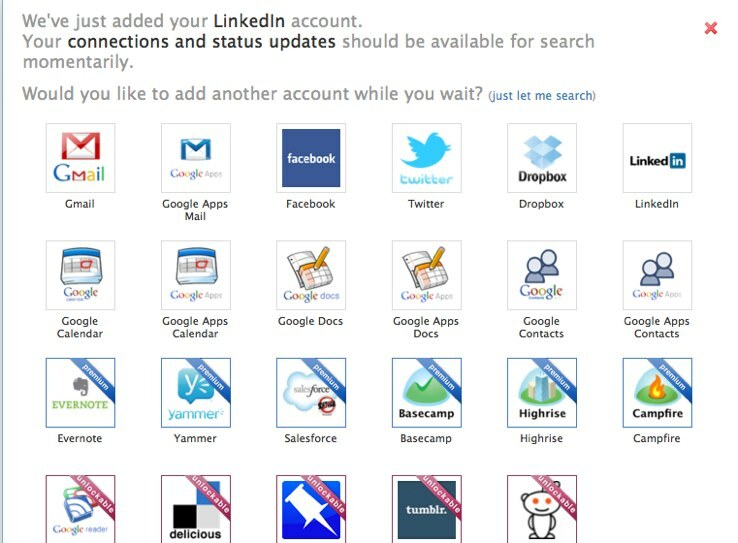 You can for example also connect GMail, Google Calendar, Linkedin, your dropbox and some Google Apss applications. You can add all of these for free. If you sign up for the free paid version you will also be able to add stuff like Yammer, Bascecamp and Evernote. The number of accounts you can add is quote big and broad. And useful. Where usually you only get the ‘popular’ type of social media accounts to add it is very useful to be able to search through evernote, calendars and dropbox for example. It makes it part of your everyday life instantly. After you sign up you cannot instantly start searching, unfortunately. Greplin first has to index your accounts. Depending on the size of your accounts that can take a while. For the test I only added my Linkedin, Twitter and Facebook account and Google Calendar and that even was a long wait. It was even that long that I almost forgot about the service even existing. After two days I realized it still wasn’t indexed so I dropped them an e-mail. Turns out they had some issues with servers in these specific two days. So usually it won’t take that long. Even though this was a ‘one of mistake’ it can mean a lot for a young service like this. It should almost be click and go, if not, people tend to lose interest. But ok, we’ll give them this one, it was a one of mistake. Now lets start searching. Here comes the most important part of the service: the search itself. If you do a search you can choose through which connected accounts you can search. If you don’t select it will search through everything. You can then start filtering after the search, which comes in handy because sometimes you want to narrow down the search in stead of broadening it. The nice thing when I go to the search page is that it shows one of my next calendar items. Clicking it doesn’t take me to my calendar though, it takes me to a set of search results which all relate to that specific calendar item. Does it find what I am looking for? The biggest question to ask is whether Greplin finds what I am looking for. I decided to start with the ‘easy’ ones. Meaning ego-searches for State of Search and my own name. A search for “State of Search” returned five different type of items (remember I only added 4 sources, with more sources these are likely to become more): People, Messages, Events, Streams and Notes. The people tab just gives me the State of Search Facebook page (twice, don’t know why that is). To be honest, I was hoping for a bit more here, like all the State of Search bloggers for example or anyone who has “State of Search” in their profile or updates in some way or another. The second tab, ‘messages’ shows me the messages I had in the past weeks which were about State of Search, I see conversations I had via DM on Twitter or chat on Facebook with bloggers for example. This could be a potentially very handy feature, since this will bring back onto your mind what you have been discussing before. Now the “streams”. If you think you can use Greplin to measure who is talking about a certain topic, you are wrong. It shows who of your connections is talking about the topic. This means it is just part of what you would see if you did a search like this on for example Twitter. The handy part is that it is a filter on that search. So if you want to know for example which of your connections has been tweeting about the x-factor shows, you search for “X-Factor” and you will see who tweeted about that. The same goes for names of football teams for example. What is the use of this? As a brand this can be useful to figure out which of your connections is active on specific topics. It can help you figure out who is the influencer on a topic, and not just any influencer, one you’ve already connected with. The two other tabs are not extremely useful in my case, but they could help. The “event tab” shows me the Calendar appointments I already saw before I started searching, but these could get in handy when searching for specific event topics. The tab “notes” shows me notes I made myself on Facebook, which for me is useless, unless you do that a lot and forget what you are writing about. So what about the ego-search on my name, did that add anything to the experience? Not really, this definitely isn’t an ego search tool. It showed me what I shared myself. So how is Greplin useful? Is useful in the first place? Yes it is. Greplin is a nice tool to find back information you didn’t know where you or one of your friends shared it. It can help enlighten the birthday parties. Another great purpose of the tool lies with the brands. As said above, a brand can really research the connections they already have. It is a valuable add on for that. 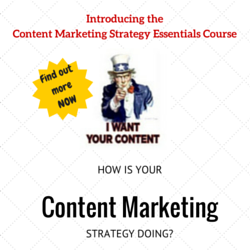 There is one thing however which you need to realize there: the keywords you use are very important. Just searching one one word won’t get you there, you really need to do proper research. One of the best things they could have thought about to be honest is not a feature on the site itself or a service you can search through, its the mobile app. People tend to forget things when they are away from their computer and they want to look it up on the fly. Just think of a birthday party where you are talking about that one weird Facebook update from a few weeks ago, a quick look up using Greplin makes sense. Or the meeting in which no laptops are on the table, but you do want to find that e-mail or Calendar appointment you are looking for. The iPhone app (and soon Android?) could just be the usp for this service. So, do I like Greplin? 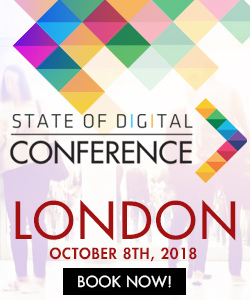 Will it be the ‘Google-killer’? The first is a yes, the second is a no. It is a very useful research tool and I can see people using it as a tool to find back that one conversation. But it won’t be valuable in the broader sence, simply because it doesn’t look through other accounts than your own. But as a research tool: very useful!